Turmeric is a spice derived from the turmeric plant. Its scientific name is Curcuma Longa. It is largely found in the Indian subcontinent and is known for its healing power, fragrance and colour. This golden spice is the root of the turmeric plant. It has warm and bitter taste along with the deep yellow colour. It is the edible part of the plant and can be eaten raw. There are more than 133 species of turmeric recognised till now. The medicinal qualities of this root make it an exclusive part of herbal medications. Curcuminoid and turmeric oil are two essential components of turmeric which contribute a lot in making turmeric a life-saving herb. 1. BRONCHITIS: This is a respiratory disease that is caused due to the inflammation of the air passages of our lungs. Turmeric has been used over the years to heal this ailment. Curcumin, the active ingredient of turmeric has an anti-inflammatory property which helps in healing the body suffering from bronchitis. It not only reduces inflammation but also provides an anti-bacterial effect and improves the immunity of the patient. 2. TONSILLITIS: Tonsillitis is the term used for swollen tonsils. This health issue is characterised by swollen tonsils, pain and discomfort, bad breath, headache, nasal congestion and difficulty in swallowing food. Due to the remarkable anti-inflammatory property of turmeric, inflammation can be tackled really well. With the regular intake of turmeric, swollen tonsils can be treated easily. 3. PEPTIC ULCER: Peptic ulcers are the ulcers present in the stomach. Several factors like smoking, drugs, hypotension can cause ulcers in the stomach which results in inflammation and painful ulcers. Turmeric is the best way to heal the ulcers and reduce the symptoms. It soothes the system and also improves digestion. 4. INFLAMMATORY BOWEL DISEASE: When there is inflammation in the gastrointestinal tract, it is known as inflammatory bowel disease. Such inflammation results in irregular bowel movement, blood in stool, abdominal cramps, fever etc. IBD can be treated with the help of turmeric by reducing the inflammation. Curcumin stimulates the production and growth of anti-inflammatory cytokines. Turmeric also improves digestion which helps in treating this problem. 5. 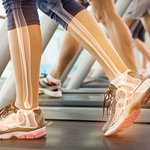 RHEUMATOID ARTHRITIS: Rheumatoid arthritis is a joint disorder characterised by swollen joints, redness, pain, stiffness and joints and difficulty in movement. It is quite a common disease and needs regular treatment. Curcumin, the active extract of turmeric, is useful in this joint issue. 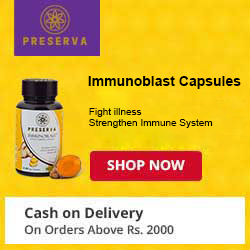 It reflects the anti-inflammatory effect on the joints and helps in healing the stiffness and pain of joints against the attack of the immune system. 6. CANCER: Turmeric has anti-cancer property, which means it has the power to kill the cancer cells. Turmeric is rich in curcumin which reduces inflammation in cancer patients and also destroys cancer cells and prevents recurrence. Thus, it can help cancer patients to a great extent. 7. LICHEN PLANUS: This is a skin rash allergy that shows symptoms like blisters, redness, hair loss, eruptions and ulcers. This skin issue is highly painful and can be tough to handle. The anti-inflammatory property of turmeric helps in curing swelling, eruptions and rashes. It works like a mild aid. 8. ECZEMA: Eczema is affecting people all over the world these days. Eczema is a skin disorder characterised by inflammation and irritation of the skin. Turmeric brings down the level of inflammation-causing enzymes which in turn gives relief in eczema. 9. PSORIASIS: Psoriasis is a skin condition in which skin cells gets deposited because of immune system disorder. This results in itchy, scaly skin, inflammation and redness of the skin, dry and cracked skin. The anti-inflammatory property of turmeric helps in reducing the symptoms of this severe skin issue. 10. GASTRITIS: Gastritis is inflammation or irritation of the stomach lining. Several factors like medications, alcohol, smoking, high levels of stress etc. are responsible for the same. Curcumin, an active ingredient of turmeric has the power to reduce inflammation levels in the body and heal the stomach. It also helps in improving the digestion. 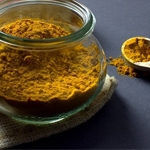 Turmeric for inflammation can be used in several ways. Curcumin is the essential ingredient of turmeric which helps in curbing inflammation and is found in very small portions. Curcumin extracts are needed in good amount to heal the body properly. Turmeric can be consumed in various forms like turmeric powder, turmeric roots etc. in order to consume curcumin. But such forms do not fulfil the curcumin needs of our body. So, we should always opt for the option that supplies maximum quantity of curcumin to our body. Try out a herbal nutritional supplement with exclusive curcumin concentrated formula, preferably with 95% curcuma longa, to cater to the needs of the body. Herbal formulations are very safe and have zero side effects on our body. Turmeric is nature’s blessing for all of us. Using this incredible herb can prevent many infections, allergies, weaknesses, diseases and disorders. Use it to derive the maximum possible benefit for your body. Include this herb in your daily routine and make way for fit and strong body. Make this herb your health happiness!